Build a smarter network for smarter students. 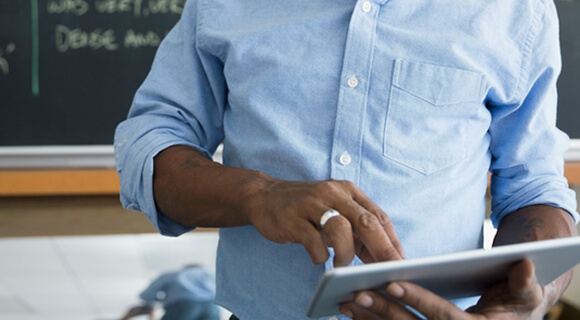 Aruba’s E-rate-eligible networking solutions deliver the enterprise-grade capabilities, reliability, and security needed to promote digital learning in K-12 schools and libraries. 2019 E-rate Update: Make the most of your funding. Hear John Harrington, CEO of Funds For Learning, as he shares essential details and information for E-rate Funding Year 2019. Start the application process today and get E-rate dollars for your school. Just follow the six steps outlined in our quick-reference guide. Stretch your dollars further with these education-specific promotions. Case Study: Cypress-Fairbanks Independent School District, TX. See how Aruba is helping Cypress-Fairbanks ISD securely connect and monitor a half million devices per day. Case Study: Escambia County School District. When Escambia County School District launched their mission of student-centered learning, called Vision 2020, for its 43,000 students, they chose Aruba to upgrade their infrastructure.